This Shallow Fill Tube Style Luxury Mattress has an Aloe Vera Quilted Pillow Top. These luxury beds are used in five star hotels. Invest in your sleep comfort with a luxurious modern softside flotation mattress. Our high quality mattresses are flexible, comfortable and known for their extremely soft and durable features. 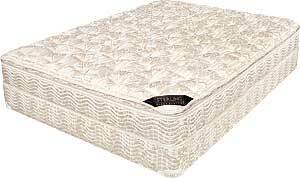 This new style high quality 8" full depth luxury mattress has interchangeable and replaceable components which add to the life of the mattress. In addition, this flotation mattress uses standard size sheets and bedding. Mattresses come apart for proper cleaning. Choose the tube kit to make your order complete. Temperature control included in your purchase of this bed.